This World Book Day I have been reading Carys Bray‘s brilliant Sweet Home. 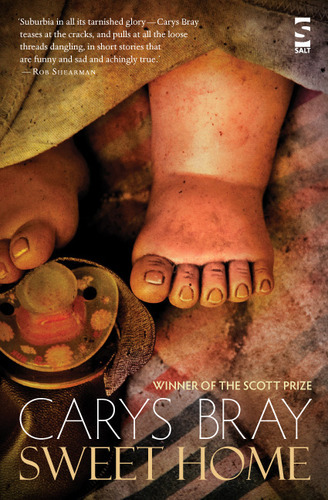 You may remember Carys stopped by last November, when her Scott Prize winning debut collection of stories was published by Salt, and shared her life in short fiction. I’m only a little way in to the collection but have been blown away by the quality of the opening stories, the standout so far for me being Just In Case, in which a bereaved mother borrows her next door neighbor’s baby. The steady, screwing build up of tension over the handful of pages left me visibly shaken by the end. On the basis of what I have read so far Carys’ debut deserves every bit of the high praise it received on publication. Can’t wait to read the rest of the collection. How about you? What have you been reading today?